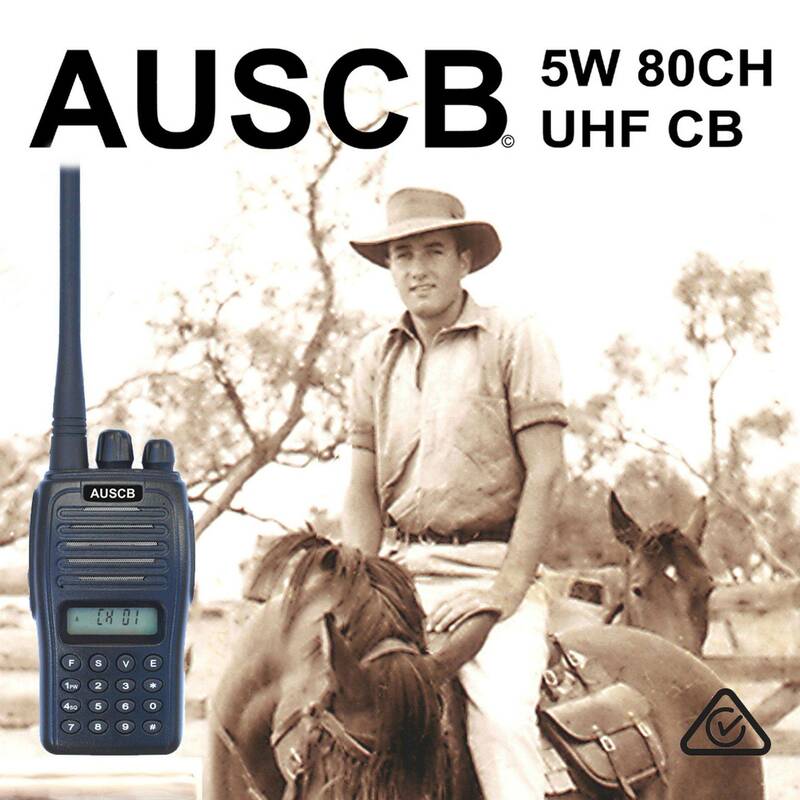 AUSCB has a dual purpose - to offer a quality 5W 80CH UHF CB Handheld direct at wholesale price with Type Approval to Australian & New Zealand Standards, and to help reduce the trade of imported illegal radios by offering an affordable alternative. The AUSCB is also type approved to the Land Mobile Service (licensed private or commercial frequencies outside the CB band) covering 450-520Mhz, which means it has to be held to a higher technical standard than the average CB. Did you know that it is illegal to own, operate or sell a BAOFENG, PUXING, TYT, RETIVIS or WOUXUN Radio for CB or commercial use within Australia - radios that are typically found on ebay. They are even illegal for licensed 'Ham' radio operators if the radios aren't locked specifically to the ham bands. The Australian Media & Communications Authority (ACMA) can, and has, handed out large fines over these radios. If you work in Traffic Control, you may also be in breach of WPHS for not using standards approved equipment, should a comms related incident occur. Don't let the price fool you either, the AUSCB has specs you could expect to see on a $400+ radio. We can do this price because we are wholesale direct to the public, don't rely on retail outlets, distribution networks, slick advertising campaigns, or jacking up the cost to cover warranty claims. Retail is changing - customers today are much better informed, more discerning with their choices, but want and expect value for money. We think that is a good thing and when you deal with AUSCB, you are dealing with us direct. This is the exciting new way to do business. We want to give you a good price, because we use and like radios ourselves. Hands down, the AUSCB Radio is the best 'bang for buck' handheld CB radio available in Australia and New Zealand. We have been involved with radio communications for near on 30 years and are an independent & registered Australian radio supplier. You can purchase with confidence knowing that AUSCB will be here to supply and support our products. We have decided to keep it simple too, just one model of Handheld CB - a full channel, full power 5W 80CH version. This saves a lot of confusion and frustration. We can supply a great product, at a better price, by concentrating on that product. We also followed that through with an easy to navigate website. You are welcome to purchase online from our website, or if you like using ebay, we also have an ebay store. Just type in AUSCB when on ebay to get our list of items. Unfortunately you may find that you pay a little more on ebay, to cover ebay fees sorry. Either way, secure payment is processed through Paypal, as are credit/debit card transactions (no paypal account required) - so you have peace of mind. Our website store has an Australian Flat Rate Express Post cost of $14.00 for combined items with radios, which covers the Auspost Express 3kg Satchel. However if it is just small accessories or combined small accessories, you are looking at just $10.00 for express, or smaller items $5.95 for registered post. Tracking numbers will be supplied and listed with paypal. If you purchase before 1:00 pm AEST, your order will be sent that same day (weekdays). For New Zealand customers, please email us for a postage quote. Customers are wrapped - and so are we.